Welcome to my stop on this awesome tour! I am excited to share my thoughts with you on this book! It has been nine months since Gordy and his friends, Max and Adilene, stopped Esmerelda from destroying B.R.E.W. and the Vessel. Gordy is starting the eighth grade, where he meets another Dram, Sasha Brexil, whose mother is the new President of B.R.E.W. Gordy has also been practicing new brewing techniques, and has even taken some of his potions to school—something expressly forbidden—but when he starts zoning out during practice, he knows something is wrong. Strange things are also happening at B.R.E.W., because after Wanda confronts the dark Elixirists, she is unexpectedly fired by Mrs. Brexil. And in Greenland, Mezzarix is offered a chance to escape by an old friend, who is working for the mysterious Ms. Bimini. The woman reveals that she needs Mezzarix to replicate an unusual solution known as “Silt.” Mezzarix agrees on one condition: that Ms. Bimini uses the power of Silt to destroy B.R.E.W. forever. Gordy and his friends continue to work on their potions, but when Adilene learns she will never be able to brew potions—that the only reason she had ever come close was because Gordy was Projecting his ability through her—she is crushed. Against her better judgment, she uses an invisibility potion given to her by her new friend, Cadence, to spy on Gordy. As Gordy's potion-making talents increase, so does the frequency of his blackouts, which raises a troubling question: What if Mezzarix attacks during one of Gordy's blackouts? Both B.R.E.W and the Vessel are in danger, and with the potion world in chaos, it's up to Gordy, Max, and Adeline to rally the remaining Potion Masters before it’s too late. I am was so excited to be able to review this book. The first book was soooo good, and I knew it would only get better from there. Once upon a time there was a boy named Gordy who was an amazing potion maker. His mother saw something in him that both excited her and terrified her. She knew that her boy was special, and that might get him in trouble some day. He has already had to face trials, but this new adventure brings even more. Mezzarix, is Gordy's grandfather, and he is a master at potion making. He was so good, and so evil he was banished to Greenland for the safety of everyone. Gordy has only met him a few times, and has learned how dangerous he can be. Regardless, Gordy loves him. During this adventure we get to see a more advanced Gordy start doing things with potions his mother never imagined. Some good, and some good, but not too sure about. Gordy is a master at getting in trouble. Along with his two friends Max and Adilene. They seem to have an eye for where trouble is. There are people after Gordy and his family and they seem to be constantly on the look out for dangers. This story is full of adventure, intrigue, excitement, and friendship. Who knew family could be so dangerous, and wonderful at the same time. Follow Gordy and his friends as they face some unsavory people trying to bring him and his family down, along with B.R.E.W. People want to do away with B.R.E.W. and Gordy and his family are trying to keep that from happening. I enjoyed this story so much. I finished the book in a day. I love the setting, the story, and the world this book brings to me. I have to say that I felt like I was right along side Gordy during this whole story. I love it when a book can do this for me. It is a great book for middle schooler's, because Gordy is the same age. I know that my son would really enjoy this series, but I also think its great for people like me who love to dive into the middle grade genre once in a while. They are just so fun. Cole's writing is amazing, and brings a whole new world to life for you. I hope you take the opportunity to pick this book up. You won't regret it. Frank L. Cole has lived in such exotic places as the Philippines and Kentucky, and currently lives with his wife and three children out west. While he strived for years to earn his publishing credits, Frank considers sharing his message of “Exercising Your Imagination” to over 45,000 kids across the country as his greatest accomplishment. 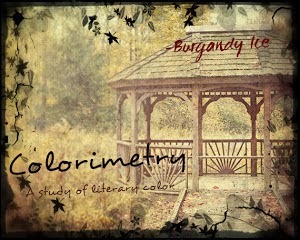 You can learn more about his writing at franklewiscole.blogspot.com. Welcome to my stop on this awesome tour! Lord Elliott Mayfield has done his best to take care of his family, first his siblings and now his nieces and nephews. Unfortunately, he sees this new generation moving in the same direction of bad matches and scandalous relationships as the last. In hopes to change their course, he establishes a “marriage campaign” to motivate them to improve themselves through making respectable matches. With his hear in the right place, what could possibly go wrong? Oh, how I love a Proper Romance Series book!!! Josi Kilpack knocks it out of the park with this sweet story. I haven't read a historical romance novel for a while, so this book was a breath of fresh air for me. Not that I haven't enjoyed reading others, this is just my favorite kind of book. All the fluff, and romance is just always such a great restart for me. This book did not disappoint. I have decided though that while reading these historical romances, that I probably would have been one the women back then that was stoned to death....or beaten to death....or you know, burned at the stake. I was not born to keep my mouth shut, so stories like this sometime infuriate me... I am woman hear me ROAR, is what I want to say during the whole book. Which I LOVE it if a book brings out those kinds of emotions in me. Let's return to the story at hand though. I want to just talk a little about the characters and what I love about them. I think that is the best way for me to get my point across without revealing too much about the book, because you MUST pick this one up and read it for yourselves ;). Lord Elliot - Is a good man. He was determined to help his family over come scandal and dishonor. He worked his whole life doing this. I think his greatest achievement is his eldest nephew Peter. Lord Elliot decides he is going to come up with a plan for his nieces and nephews to marry in a proper way and to renew the favor of the Mayfield family. I just liked him because he was the kind of man who wanted the best for everyone and was willing to give up his life for the happiness of others. Peter - Oh, Peter. Yummy, sweet, delicious, handsome Peter. It may be time to tell my husband that he has been replaced by my new book love interest. Peter is the type of man, that I believe every man should be. He is kind, gentle, hard working, and just a good man. He does have one flaw I think though. He didn't allow his workers to have personal lives. Maybe because he was lacking one himself. That doesn't last long, and it comes slow, and beautifully. Peter had been married once before and has two beautiful daughters. He needs a Governess for them though. He cannot simply take care of his house and his land and his dogs without the help of a Governess. Right? Julia - Oh, sweet, beautiful Julia (aka Governess). Like I said, Peter couldn't simply take care of the children himself. Peter needed Julia. Julia, is my favorite. I think I love her most because she is a strong willed woman, who is determined to live her life like she wants to, and not how her mother wants her to. She loves being able to make her own choices, and be herself. My kind of girl. She loves children, which comes in handy now that she is taking care of Peter's two girls. Who of course love her, because she is the greatest thing to happen ever. She's what I want to be as a mother. Alas, I am too late because mine are all grown, but maybe I can be like her when I have grandchildren. So kind, generous, loving, and filled with attitude. Amelia - well lets just say Kilpack gave me a great villain to hate. She might redeem herself, but boy does she make my blood boil. Amelia is Julia's mother, and of course thinks that Julia cannot make any of her own decision. I mean a girl not married by age 27 is just scandalous. She is a bitter, sad, widowed woman. When she finds out that Julia is working for a member of the Mayfield family she is determined to get her out of the situation, no matter how much harm or hurt it does. Oh, shes a good character to not like. This story and these characters weave together to make a wonderfully, beautiful story. I couldn't put it down. I love, love. I know sounds sappy, but I do. What I love most about this love story is that it is NOT love at first sight which dislike very much. This is a beautiful story of two people who have so much in common and just gradually gravitate to each other in the most wonderful way. If you are in the mood for a historical romance please pick this one up. It's such a great story. Kilpack just gets me every time. She is such a beautiful writer. Source: I was given this book as part of a blog tour and street team member for Josi S. Kilpack. I was not compensated in any way for my review. These are my own PERSONAL thoughts on the book. oooey - gooey Peter and Julia 5 stars :). What does it mean to be quiet as a church mouse? This charming picture book shares the story of how one little boy learned to sit still while his imagination kept running free. With these fun and colorful illustrations, follow along as a boy and a mouse discover how reverence shows our love and respect for our Savior. We all (well if you have had a child) have had that moment in church when you just want your child to be quiet! You try anything! When this child’s mom tells him to be quiet as a mouse his imagination runs with it! Who knew a mouse could be so many things? This little book takes you on a short, ride through what “quiet as a mouse” could be. The illustrations are beautiful, and it’s bound to keep your child’s attention during church. All while helping them be “quiet”. I love children’s books so much. I especially love children’s books that are easy and have lots of pictures for little ones. There are so many things on the pages to for kids to look at and keep them entertained. Source: I was given this book by the author in return for an honest review. I was not compensated in any way for this review. These are my own PERSONAL thoughts on the book! 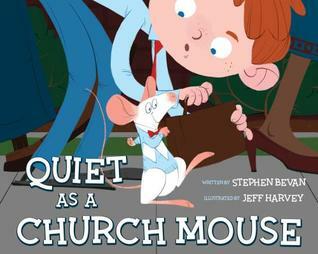 Stephen Bevan imagined his church mouse at age 5. All those wild Sundays of imaginings are distilled in this book. He and his little church mouse lived in Montgomery County Maryland, until Heavenly Father took them both to Western Australia for many amazing adventures “down under.” Now those two trouble makers reside in beautiful Cache Valley, Utah. On Friday nights they are telling stories and hammock camping with the scouts but each Sunday morning they are both trying to sit reverently in church with Stephen’s own wonderful and imaginative children. Learn more about Stephen at www.bevanstories.com, while you are there see what other adventures he and his mouse have to share. Stephen Bevan and to Cedar Fort for allowing me to be part of this tour! Welcome to my stop of this tour! Libby Lochewood is twelve years old when her grampa dies of a heart attack. She is devastated at losing her best friend. Now that he’s passed on, it’s just her and her father, and he is so overcome by grief that he can barely get out of bed in the morning. The night of the funeral, though, Grampa’s spirit appears in Libby’s bedroom and tells her three important things: first, that she isn’t alone or forgotten-“The dead ain’t never that far from the living,” he says; second, that she has “the Sight”-the ability to see family member who have died; and three, that there is something special just for her in the lake. Something that could help her and her father-if she can find it. Libby begins her search along with her friends Bobby and Martha, but it’s hard to know if they’ve found what Grampa wanted her to find since they don’t really know what it is. As Libby’s father falls deeper and deeper into depression, Libby and Grampa work together to help her father believe that their loved ones who have died are much closer than he thinks. But it will take all of Libby’s courage and her gift of Sight to convince her father that the dead are never truly gone. I am going to take a different approach to this review than normal. More than tell you about the book, I want to tell you what this book did for me. I have always believed that those who have died are close by. My father use to tell us all the time that when babies are smiling at "nothing" they are smiling at those on the other side who are watching out for us. I loved that. I loved the thought that I wasn't the only one watching out for my family while here on earth. This book also made me consider how much harder it would be for me to loose someone close to me, if I believed that, that was it. This little book showed me that no matter how long someone has been gone they are always right here with me. This is a good book to read with someone who has lost someone recently or is going to be loosing someone. Help them understand that even though they are not here, and it hurts, they are really never gone. I know it sounds so cliche, but it's so true. We can always carry those we love with us in our hearts, minds, and actions. It's such a calming feeling. This is such a sweet story about a girl trying so hard to help her father realize that life doesn't have to be as hard as he is making it out to be, if he would just accept that there is help from the other side. Source: I was given this book as part of a blog tour in return for an honest review. I was not compensate in any way for this review. These are my own PERSONAL thoughts on the book. Carol Lynch Williams, who grew up in Florida and now lives in the West, is an award-winning novelist with six daughters and one son. She has an MFA in writing for children and young adults from Vermont College, and she won the prestigious PEN/Phyllis Naylor Working Writer Fellowship. The Chosen One was named one of the Ala’s Quick Picks for Reluctant Young Adult Readers and Best Books for Young Adult Readers and was featured on numerous lists of recommended YA fiction. 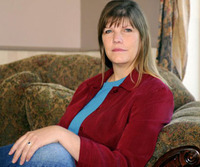 Carol’s other novels include, Messenger, Glimpse, Miles from Ordinary, The Haven, Waiting, and the Just in Time series. Welcome to my stop on the fun tour! Nina’s once-sweet life has unexpectedly turned sour. Her marriage is over, her job is in jeopardy, and her teenage daughter is slipping away from her. Then her father dies and issues with Nina’s mother come to a head; her estranged brother, Ray, comes home; and her sister, Lola, is tempted to blow a big family secret out of the water. They say the truth will set you free, but first it will make a huge mess of things. All Nina’s got left is her final photography assignment shooting images for the book 32 Ways to Make Lemonade. Well, that and the attention of a younger man, but Oliver’s on-again-off-again romantic interest in her ebbs and flows so much she is seasick. And then Jack, her ex-husband, shows up, wanting to get back together. As Nina struggles to find a way through her complicated relationships and uncover her true path, she discovers just how valuable a second chance at life and happiness can be. 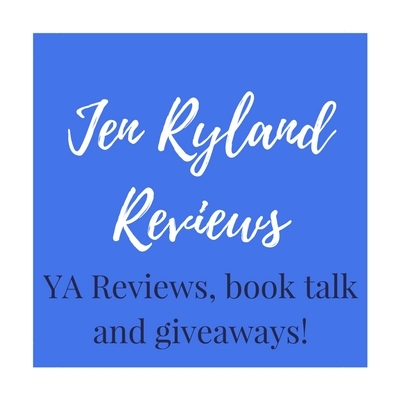 I really do love being able to review books. Reviewing for Shadow Mountain Publishing is always great. I have loved everything they have sent me and this book is no exception. This story takes you on a roller coaster ride in emotions. There is so much heartache and loss in this book that it kind of tears at your heart strings. BUT, there is also so much, love, forgiveness, and second chances, that your emotions are all over the place. I LOVE it when a book can do that for me. I don’t want to give too much away so I am just going to tell you a little about the characters that I love in this book. Nina – Is looking at life as a single mother now. She thought her whole live was going to be perfect. Perfect house, perfect husband, perfect child. Then life happens. Nina, is a photographer, and most of her work is made up of taking pictures of food. She can hear the talk around the office that it might get sold….so she has uneasy feeling easy feeling at work also. Nina also has a 15-year-old daughter named Cassie, who doesn’t seem to like Nina at all. Nina, and her sister Lola, are close and Lola seems to keep Nina grounded. Then walks in Oliver. Just in case her life wasn’t messy enough, in walks a yummy young man who is interested in her. Nina has also recently lost her father. Her life is a train wreck that you cannot turn the pages fast enough to see how it turns out. Lola, Nina’s sister, is my favorite character out of all of them. Nina, may be the MC, but Lola is still my favorite. I love her outlook on life, and her beautiful ability to forgive and love. She has a little problem with memory that I don’t want to talk too much about, but sometimes she forgets things at the most inconvenient times. Lola is dating Chris, and well, let’s just say…. mmmmmm mmmmm. Everyone around Lola is careful about what they say and do, because they are fearful that it will send her into some kind of memory loss or remembrance. Neither of which any one wants. Lola is so beautiful. Really, I just grew to love her so much in this book. I need to use her outlook on life every day! Ray, is Nina’s brother. The troubled soul. The tortured soul, and the convicted soul. Ray, has spent his whole life pulling away from everyone he loves, and one of those times it lands in in prison. Ray, is the bad boy all the girls go for. Well, that is what he wants everyone to think about him. He is no good. He doesn’t deserve to be loved. He is a screw up. Ray, really isn’t as bad as he makes himself out to be. I couldn’t help be drawn to this tortured young man. He lived his life doing everything he could to make those who love him most hate him. He came and went as he pleased, and usually caused havoc when he was around. Ray’s story is probably my favorite part of this book. Lola, favorite character, and Ray’s story just made me see what so many other people I know might be going through. It is sad and beautiful at the same time. Cassie, is Nina’s daughter, and I don’t like her at all. Yes, she is angsty teenager, but I still don’t like her. She is a good character to not like 😉. I feel bad that I don’t like her, but I don’t like any angsty teenager, so I guess it’s no a surprise I didn’t like her. Most of the time I just wanted to smack her in her face. But hey, the author did a great job of writing a character I loved to hate, so I guess that is great. Jack, is Nina’s ex-husband. I still haven’t figured out how I feel about him in this story. I am still processing if I like where things went with him. He’s a great dad, and seems to be a good guy, but I am still on the fence about him. I would love to hear what you guys think about him though! There are some other great characters in this book but these are the ones I chose to talk about. I decided I didn’t want to talk about Nina’s mother, because the jury is still out on her as well. You should pick this one up. It has so much to it. It’s full of twists, and surprises, and second chances at life. Who doesn’t need a second chance once in a while. The author did a wonderful job bringing these characters to life for me. I could feel their emotions while I was reading, and there is nothing better than that. I felt like I was a fly on the wall during this whole book. Right there in it, but no one could see me. It was wonderful. I hope you take the time to read it. Source: I was given this book as part of a blog tour in return for an honest review. I was not compensated in any way for this review. These are my own PERSONAL thoughts on the book. 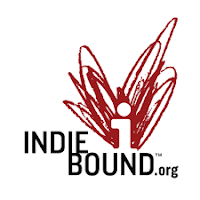 Amy Willoughby-Burle is a writer and teacher living in Asheville, North Carolina, with her husband and four children. She writes about the mystery and wonder of everyday life. Her contemporary fiction focuses on the themes of second chances, redemption, and finding the beauty in the world around us. She is the author of a collection of short stories entitled Out Across the Nowhere and a contributor to the anthology Of Mist and Magic. Fourteen-year-old Ozzy lives near Portland, Oregon, and is desperate for help. His scientist parents have been kidnapped after discovering a formula that enables mind control. Their work was so top secret Ozzy is afraid to go to the police, but without help, he fears he’ll never find his parents. Then he stumbles across a classified ad in the local newspaper that says “Wizard for Hire. Call 555-SPEL.” Ozzy has read about wizards in books like Harry Potter, but wizards couldn’t actually exist today, could they? After Ozzy meets the wizard Labyrinth–aka Rin–he’s even more skeptical. Sure, Rin dresses like a wizard, but the short robe and high-top tennis shoes seem unorthodox, as does Rin’s habit of writing notes on his shoes and eating breakfast for every meal. Plus, Rin doesn’t even cast any magic spells, which means that the unexplained coincidences that start happening around Ozzy are just that–coincidences. 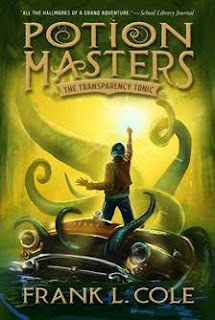 With the help of a robotic-talking raven invented by Ozzy’s father, a kind and curious girl at school who decides to help Ozzy, and, of course, a self-proclaimed wizard who may or may not have a magical wand, Ozzy begins an unforgettable quest that will lead him closer to the answers he desperately seeks about his missing parents. This was such a great book. Our main Character Ozzy and his family move to Portland, Oregon to to live in the solitude of the mountains. The first day Ozzy is allowed to go behind the cabin by himself to the little river, he hears screaming. He runs back to the house in time to see people dressed in green taking his parents away. Ozzy was only 7 years old. He was so scared and alone, but quickly learned how to take care of himself. Seven years after his parents go missing, Ozzy finds an interesting box from his father, he decides it's time to go and search for answers. This book had a lot of funny things happen. Ozzy not being around people for seven years, made him a little odd, but he didn't have any idea why people thought that. I love how confident he was because he didn't know any better. I wish all kids could be this confident. Knowing that it doesn't matter what the world thinks, just that they be a good person. When Ozzy goes looking for answers it doesn't quite happen like he thought it would. He sees an add in a local newspaper that says "Wizard for Hire", so he of course had to see if it was real. Then we get to meet Rin. Now he is a great character. In his funny clothes and eccentric personality make him one of a kind. Ozzy meets him tells him he is searching for his family and their alliance begins. With the two in search for his parents, a fun adventure starts to take place. With Ozzy's bird that he found that is father made the three of them made for a very unlikely crew. They worked well together, yet Ozzy wasn't always convinced that Rin was a "real" wizard. This was such an interesting book. I loved the characters, and the setting. I loved the world that Ozzy lived in and the one Rin seemed to live in. Skye's writing is amazing, and so much fun to read. It's one book I think I am going to have to read with my son, because it's great for middle grade kids. It's full of adventure, and interesting happenings. I hope you will take the time to read this one. It was such a great ride. Source: I was given this book as part of a blog tour. I was not compensated in any way for this review. These are my own PERSONAL thoughts on the book. Obert Skye is the bestselling author of the Leven Thumps and Pillagy series. He is also the author of the comic novels, The Creature from My Closet. Obert lives in a constant state of wonder. He has a keen sense of smell and is the owner of a great deal of curiosity. For further information about Obert’s current whereabouts or state of mind, visit abituneven.com.